Built 1857 by Johann Christoph Kunckler. Opened 5 Nov 1857 with Mozart's "Don Giovanni". 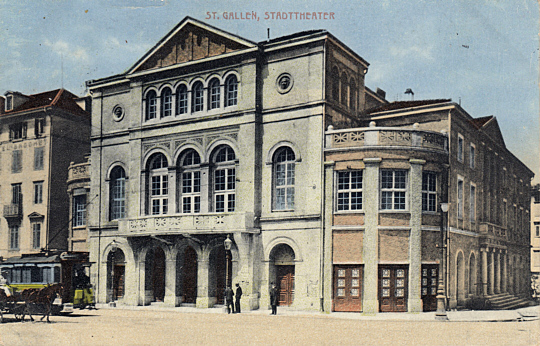 Closed Jan 1968 due to the opening of the new Stadttheater. 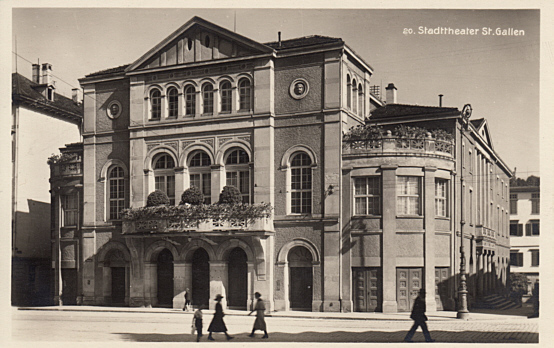 Demolished 1971 in favour of a shopping centre, "Markt am Bohl". 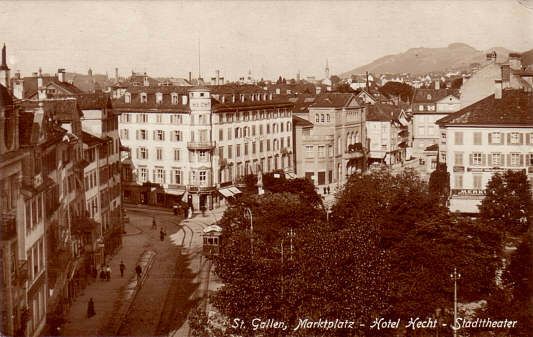 Front Text: "St. Gallen, Stadttheater"
Reverse Text: "St. Gallen, Marktplatz - Hotel Hecht - Stadttheater"